Drought severity, duration and intensity are three main variables that are useful in providing a deeper and more conclusive understanding of a drought condition. A joint distribution using trivariate copula model was introduced and employed to Peninsular Malaysia in describing the correlation and dependency between the drought variables instead of an independent modelling. The drought variables were categorised using the standardised precipitation index, and subsequently the Akaike Information Criterion was calculated to verify the best fitted copula distribution. The Plackett distribution is identified as the best fitted trivariate copula distribution to describe the relationship between drought severity, duration and intensity. 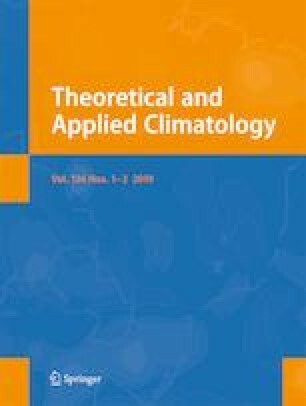 The conditional probability and joint return periods of drought recurrence were further analysed to describe the drought properties comprehensively. The results of joint return period suggest that the western region of Peninsular Malaysia is expected to have more frequent drought recurrences under different conditions. These results are able to describe the three drought properties concurrently, thus is more useful compared to the current practice that use a single variable. The authors are grateful to the Malaysian Meteorological Department for providing the meteorological data. This work was supported by the Post-Doctoral Fellowship Scheme of Universiti Teknologi Malaysia, PDRU grant vot. Q.J130000.21A2.03E14.